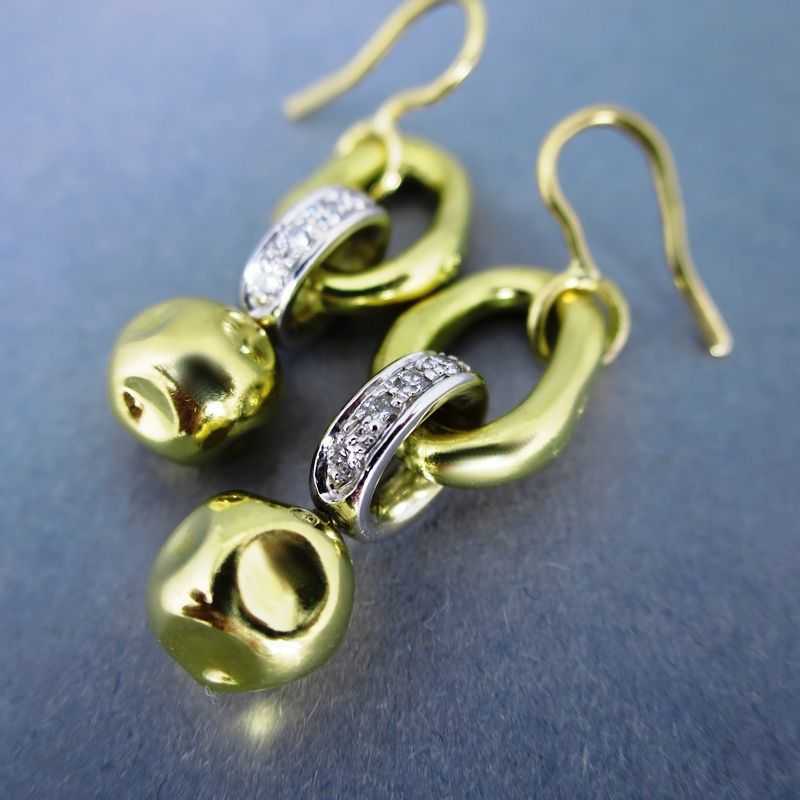 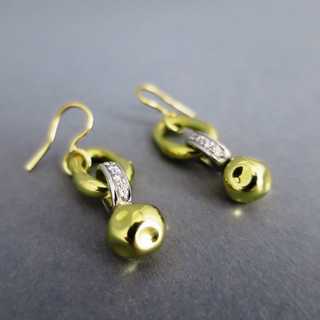 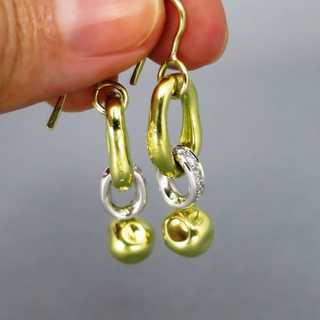 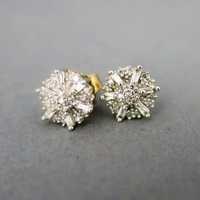 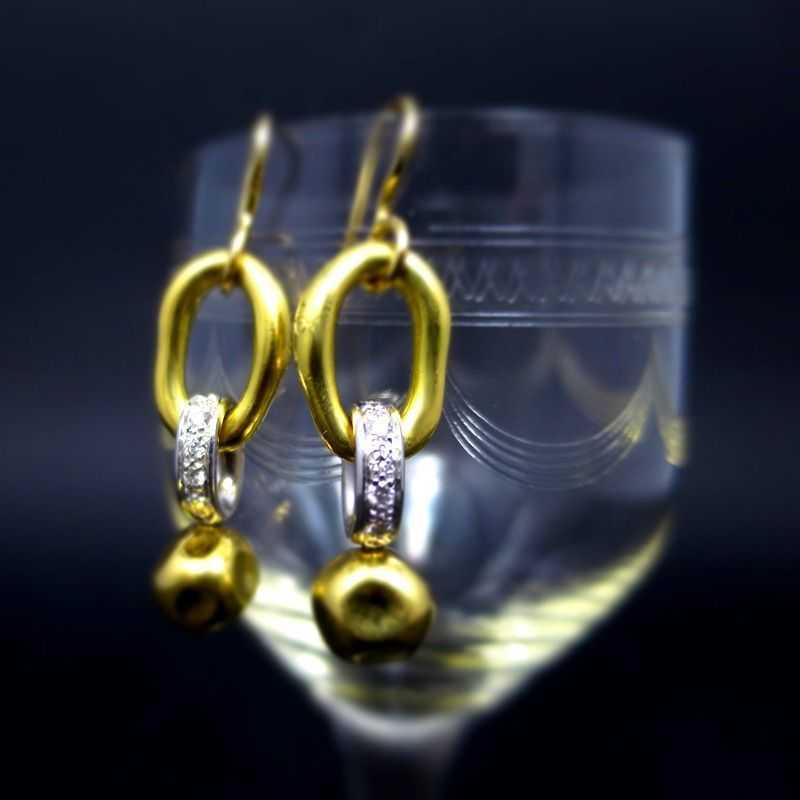 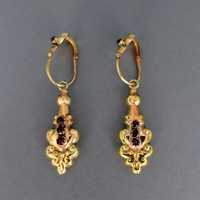 Exclusive dangling earrings with diamonds. 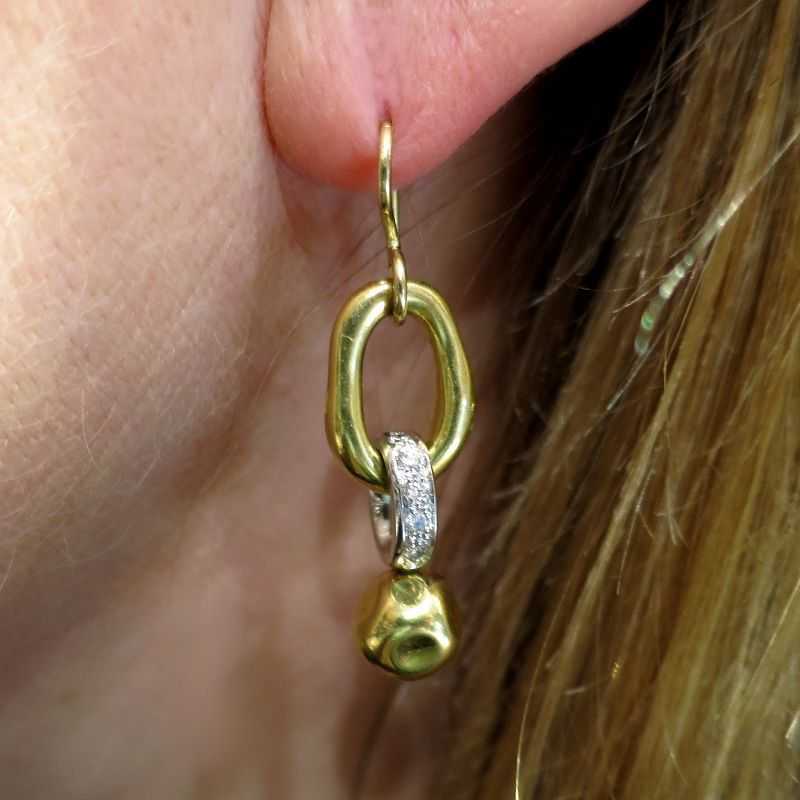 Three-level-design: a massive gold oval ring, a creole, rich filled with diamonds and a sphere with decorative surface are mounted with each other. 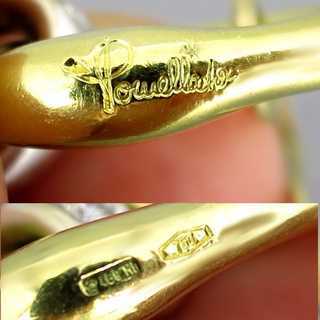 Marked, made in the famous jewelry manufactory of Pino Rabaolliniin Milano/Italy, jewelry line Pomellato. 20th century.